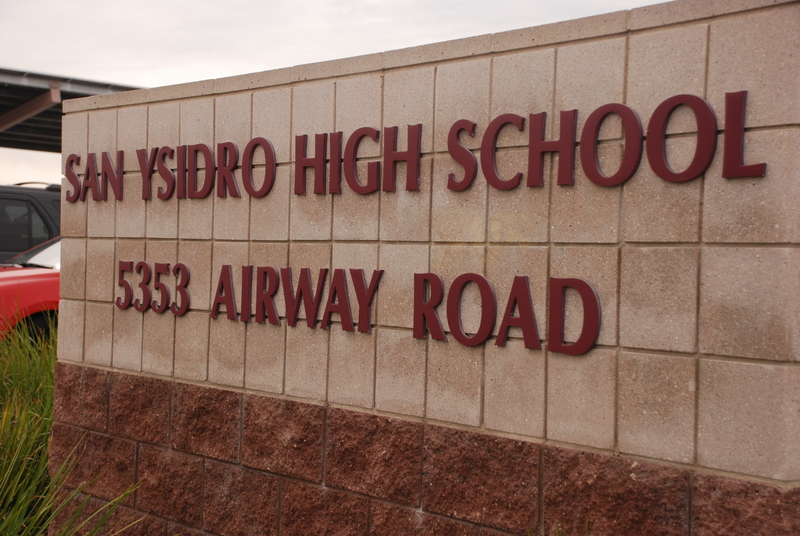 For the sixth time this month, a bogus bomb threat was made against San Ysidro High School Wednesday. About 8:45 a.m., a front-office staffer at the Airway Road campus received the menacing telephone call, in which a male voice said an explosive device would explode there at 9:30 a.m., said Manuel Rubio, a spokesman for Sweetwater Union High School District. A half-dozen San Diego Police officers searched the campus, finding nothing threatening. The spate of threatening calls, most or all apparently made via the Skype Internet application, began two weeks ago. The first several prompted lockdowns at the school, but administrators instituted less intensive security precautions in response to the rest, as advised by police, Rubio said. Parents have been notified about all the incidents as they occurred, and some have decided to pick up their children prior to the end of school days. SDPD officials have reached out to federal authorities for help in tracking down the responsible party, according to Rubio. Other schools in California have been plagued by similar repeated threats, the spokesman said.